International Journal of Mining Science and Technology is an English-language journal. 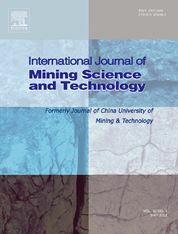 Previously entitled Journal of China University of Mining and Technology, it was founded in 1990 and publishes original and forefront research papers and high quality reviews covering recent advances in all fields of mining sciences and technologies. Papers to be published will be peer-reviewed and edited by authorities in those fields. The journal has been indexed and/or abstracted by Ei ESCI, Ei Compendex, Abstracts Journal (Russian), Chemical Abstracts, Cambridge Scientific Abstracts, Coal Abstracts and Scopus.